The origin of the M.T.M. (Motoscafo da Turismo Modificato) – Modified Leisure Motorboat – can be traced to a 1935 proposal by Amedeo, the Duke of Aosta (an Air Force general). He foresaw the use of Savoia-Marchetti S.55 flying boats to bring a group of small motorboats close to enemy harbors. The motorboats would then be unloaded and force their way through the defenses; at a distance between 100 and 50 m from the target. The pilot would then abandon the craft, which continued on it’s run towards the enemy ship until collision and detonation of the explosive charge. Admiral Aimone, the Duke’s brother, developed the concept with fellow Navy officers Giorgis and Margottini, but after a few experiments the whole project was shelved for three years. By the end of 1938, the Ministero della Marina requested a new series of 12 boats generally similar to the earlier prototypes, but only 6 were actually built. Twelve more were ordered one year later, but production was soon halted to correct the deficiencies shown by the first boats to enter service. Finally, by the end of 1940, the Ministero ordered the prototype of a lengthened and improved version, to be called M.T.M., but generally known as “Barchino” (small boat). The wooden hull was powered by a 90 hp Alfa Romeo 6C 2500, six-cylinder inboard engine, turning counter-rotating propellers, giving a maximum speed of 33 knots for 3 hours. A tube frame (“palmola”), located over the bow deck was designed to trigger an explosive device (“cannone” gun), which split the hull in two at the moment of impact. The bow section would then sink rapidly, and a depth-sensing detonator activated the 300 to 330 kg main charge a few meters underwater. The M.T.M. prototype was successfully tested on March 1st, 1941, but it was the earlier MT that gave this type of craft it’s baptism of fire a few days later. On the night between March 25th and 26th, six M.T.’s were carried off of the island of Crete aboard the destroyers RN Crispi and RN Sella and at dawn made their way past the defenses of Suda Bay, Three boats attacked successfully, sinking the cruiser HMS York and the tanker Pericles. All the operators survived and were captured. In May 1942, five M.T.M.’s were deployed to the Black Sea, but had little success before returning to Italy in March 1943. Between August and September 1942, the M.T.M’s were in action in North African waters, but again with no results. After the Armistice, production continued in the Repubblica Sociale Italiana. The earliest attacks were carried out by the Decima Flottiglia MAS against Allied shipping in Napoli and Anzio, but the unit soon moved north, operating along the coastline of Provence and Liguria. The most significant action resulted in the heavy damaging of the French destroyer Trombe in min-April 1945. The final operation took place a few days before the end of the war in Europe. On April 26th, 1945, seven M.T.M’s were at sea together with six S.M.A.’s, but achieved no results. The kit comes in a kind of flimsy end opening type box (at least my kit is a little bit CRUSHED already). The end-flaps are held shut with circles of scotch tape. As I have said many times before, I am no fan of end-opening model boxes. Invariably parts or the decal sheet will find their way past the end-flaps to become lost. Give me a tray and lid type box any day of the week. The box art shows a M.T.M. going full bore across water. There is a card that is hinged in the center and part of it inside the box. The largest half of it repeats the box art painting with no text cluttering it (it could be framed and hung on a wall). The smaller half of it is tucked into the end of the box and has a color 2-view of one of the marking and painting options offered in the kit on it. Below this is a one paragraph history of the M.T.M. in English and Italian. The face side of the smaller end is folded over the face of the kit and has a repeat of ½ of the box art on it that is over-illustrated with a picture of the cover of the photographic reference manual that is packaged in the kit. This is rather a gimmicky way of packaging a kit for sure. Inside the box is a large sealed cello bag that holds a large tree of medium gray parts and a single part of a figure. There is a small stapled cello bag holding the decal sheet and a small fret of brass PE parts. The reference manual, instructions, and a small sheet of “Important information concerning this kit” (in 20 languages – including English) completes the kit’s contents. The reference manual is a 33 page soft color photo book that has wartime photos, walk around pictures of the restored M.T.M. in the museum at Milano and a longer history of the boat, than what is on the box. The instructions consist of a single large sheet that accordion folds out into 10 pages. Page 1 of the instructions gives a one paragraph history of the M.T.M. in 6 languages, including English. This is followed by “Attention, useful advice” in the same languages. Page 2 has the parts tree drawings, followed by a listing of Italeri acrylic paints suggested for use to decorate the model. Pages 3 – 9 give a total of 11 assembly step drawings. The explosive charge compartment can be posed open or shut and the detonator arm on the bow of the boat can be displayed as stored or deployed. There is a cradle to set the boat on too. These are both pretty plain and generic paint jobs. The large medium gray parts tree holds: the hull halves, control cabin parts, upper decking, fire wall, steering wheel, drive shaft, floatation pad, explosive charge, instrument panel and cradle parts etc. (42 parts). ​The figure is molded as one piece. He is in a standing pose and has his right hand on his hip. 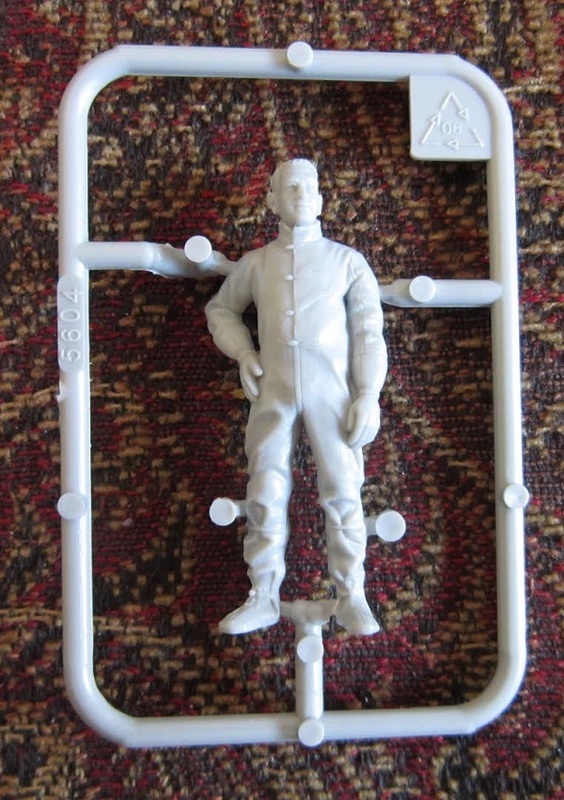 This is not the crewman pictured aboard the M.T.M. on the box art. The guy there has a leather helmet on and is wearing goggles and steering the boat. I am disappointed that we did not get a figure posed and dressed like that in the kit. I was also disappointed with the 2 figures in Italeri’s sister kit of the S.L.C. 200 “Maiale” manned torpedo. Those guys are in a standing pose and not molded to ride the torpedo. I think Italeri erred both times with these figures. The small brass photo-etched fret holds over 30 butterfly nuts, that go around the edge of the upper decking of the boat. There are also the two contra-rotating propellers. One is a 2 blade and the other a 3 bladed one. There are a few other odds and ends on this fret too for a total of 40 parts. ​The small decal sheet has instrument panel gauge faces and black numerals on it. 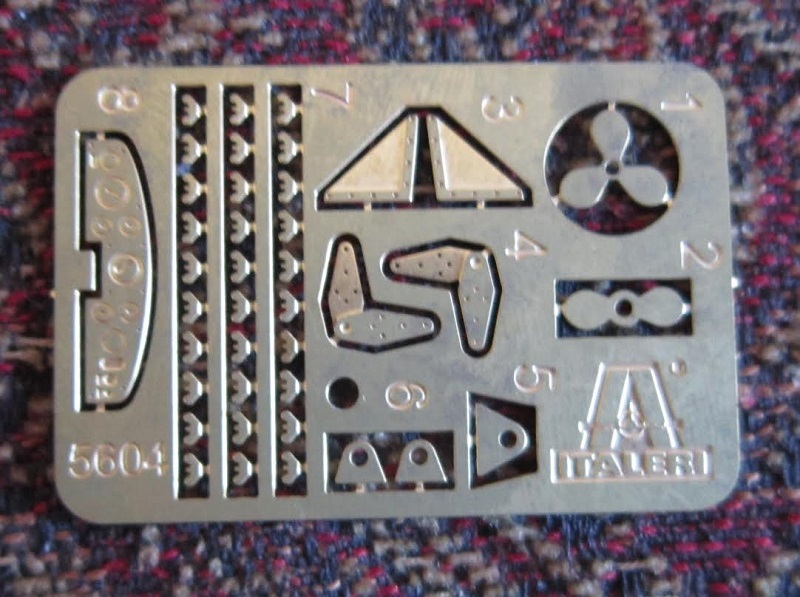 This is a neat subject and a companion kit to Italeri’s earlier kit of the “Maiale” manned torpedo, as mentioned. 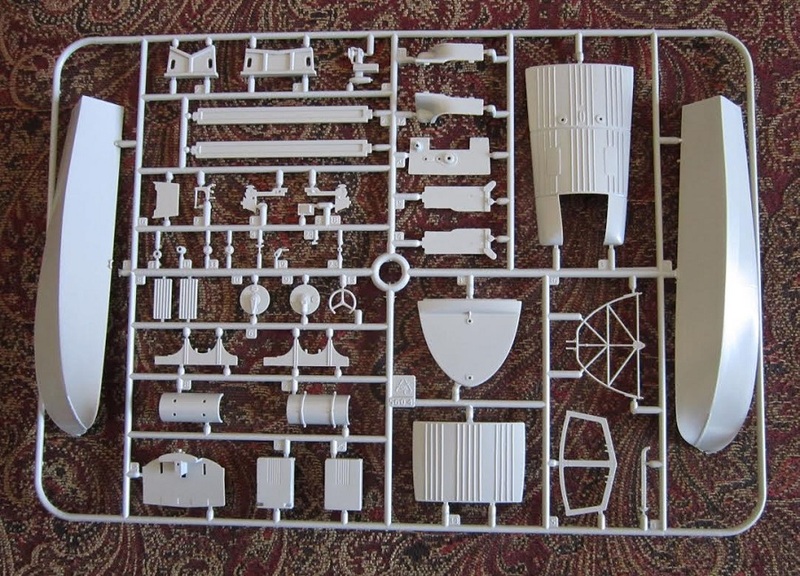 A modeler friend of mine sent me an e-mail years ago, when I bought this kit. He attached pictures of a speedboat the Japanese had that was used as a bomb like this Italian one. The pictures looked like clones of the Italian one...or perhaps the reverse was true. I still wonder if maybe the Italians and the Japanese cooperated on this type of explosive boat?? ?